This is the third time I am going on hiatus around the same time, so I might as well call it an annual hiatus. I don’t know about you, but my life gets extra busy in November. As much as I would love for the holiday break to translate to more time reading and more time blogging, it usually means I don’t have much time for either. Having a mostly Type A personality, I stress big time during this period and blogging is just another thing on my plate that I have to keep up with. One thing that I’ve learned being a blogger for several years now is how important giving yourself a break is. This year I will be away from the blog starting tomorrow (November 14th) through December 1st. I will be back that Sunday with a monthly wrap-up post for November. While I am away, I have one blog post that will go up. While working on Top Ten Tuesday posts ahead of schedule (yes, I am that blogger), I could not resist November 27th’s topic (Platonic Relationships in Books). I have this one scheduled and ready to go, but aside from linking to said post in the weekly Top Ten Tuesday link-up, I will be away from the blog completely. I will still be on Twitter if you need to reach me or by email. Hope the rest of your November is wonderful and I will see you when I get back! 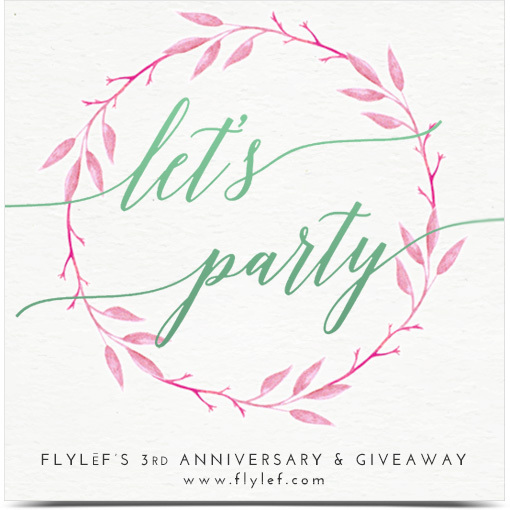 FLYLēF’s 3rd Anniversary Celebration + Giveaway! Lonna @ FLYLēF is celebrating her 3rd blogiversary and I am so happy to be a part of her celebration tour. Lonna and I have been co-hosting the Comment Challenge since 2016 and I cannot express how grateful I am to have her as a partner. I feel like we’re a match made in heaven and that we play off one another really well. I cannot think of a better co-host to have. 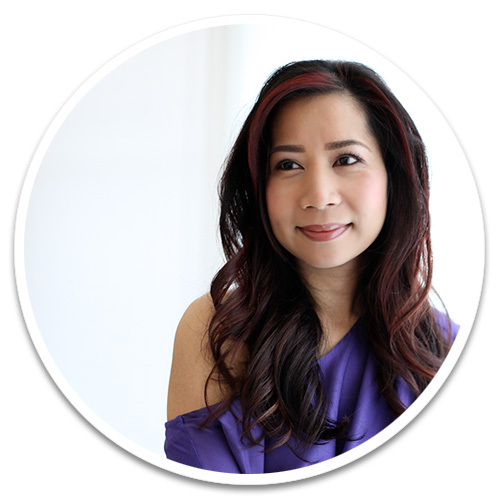 So, thank you, Lonna, for being an amazing blogger, co-host, and friend. Lonna has put together a fun Q&A surrounding the topic of books. I had so much fun answering these questions. ❖ What was the first book you remember reading/being read? This is where I wish I had a better memory, but the books I remember most clearly are the Goosebumps books and Scary Stories to Tell in the Dark. Yes, I was that kid. ❖ What is your favorite book of all time? Why must this question be so hard? Like most bookworms, I would say that I don’t have one favorite book. I have a shelf on Goodreads entitled “Beloved Books” and it currently houses 100 titles. If pressed, I would probably name Jane Austen’s Pride and Prejudice, Harry Potter, Anna-Marie McLemore’s When the Moon Was Ours, Silvia Moreno-Garcia’s The Beautiful Ones, Leslye Walton’s The Strange and Beautiful Sorrows of Ava Lavender, Leigh Bardugo’s Six of Crows, Roshani Chokshi’s A Crown of Wishes and on and on. ❖ Which book has left the most lasting impression on you? There have been so many books that have made a lasting impression on me. In the last year however, I’d have to mention Angie Thomas’s The Hate U Give, Elizabeth Acevedo’s The Poet X, and Adam Silvera’s More Happy Than Not. ❖ Which book have you read most frequently? I’ve read Jane Austen’s Pride and Prejudice about half a dozen times, which is the most that I have for any other book. ❖ What books are on your bedside table at the moment? I like to keep my TBR books on separate shelves, so I don’t have a stack of books next to my bed. That’s probably best, it would probably fall on top of me if I had them stacked next to me. ❖ Name one book/author that you really can’t stand? ❖ What type of books do you like reading most? As much as I love world-building, I love character-driven novels even more. I love getting into the mind-set of characters because I don’t want to just read a book, I want to experience it. ❖ If you were given the money to buy a book today, what book would you buy? I’ve been wanting to get my hands on Yesika Salgado’s Corazón. I almost bought it the other day when I was at Barnes & Noble. ❖ Where’s your favorite place to read? Anywhere that’s quiet and I’m alone. ❖ Which character in a book do you think is most like you? I don’t think I’ve ever come across a character that felt entirely like me, but there are a few characters that I see my younger self and current self in. These include Lara Jean from Jenny Han’s To All the Boys I’ve Loved Before, Nora from Meg Medina’s Burn Baby Burn, and Xiomara from Elizabeth Acevedo’s The Poet X. ❖ Which character in a book would you most like to be? I’m not sure I’d like to be any characters, but I think it would be pretty interesting to at least spend a day in a character’s shoes. Perhaps I’d like to know what it would be like to be an assassin working out of a nunnery like Ismae from Robin LaFever’s Grave Mercy. ❖ What book do you plan to read next? I will probably pick up Tiffany D. Jackson’s Monday’s Not Coming or Sandhya Menon’s From Twinkle, with Love. ❖ Which literary character would you most like to have a ‘significant relationship’ with? I would love to be bffs with Dimple from Sandhya Menon’s When Dimple Met Rishi. I think she’s amazing and I would tease her incessantly about Rishi. Hello! Thank you for taking a moment to get to know me. I’m quite a closed book actually — shy and all things timid — except when it comes to…well, books of course! I’m the creative mind behind FLYLēF (pronounced like flyleaf) who enjoys reading late into the night to satisfy my insatiable addiction to mostly young adult and adult novels: romance (contemporary and historical), fantasy, and paranormal (especially vampires). I believe in the magic of spellbinding words coming together to build breathtaking worlds in our minds’ eyes. Happiness is just a book away, find it with me. I’m also the owner of Ink Furie (that’s a whole nother story, but if you like calligraphy…), host of FLYTIP and Book of Choice Giveaway Hop, and co-host of The Comment Challenge. A $25 Amazon gift card. Open internationally. Click the Rafflecopter link below to enter. 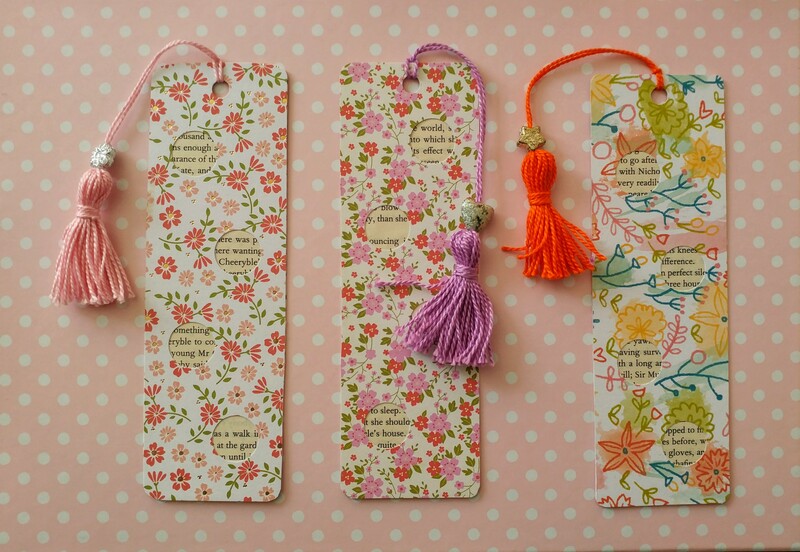 Some of you might recall that I shared a little bit about my DIY bookmarks in this post from last year. I asked readers if they would be interested in a giveaway of said bookmarks and there was enough interest that I decided a giveaway was in order. It took me a little longer than I anticipated, but I’ve finally put together a bookmark giveaway. All the details are below, including a picture of the bookmarks I will be giving away. If there ends up being a lot of interest in this giveaway, I will be putting together another bookmark giveaway during the summer. Giveaway will run from March 2nd (12:00am PST) through March 18th (11:59pm PST), 2018. Giveaway is open to U.S. residents only due to shipping costs. Three winners will be chosen and mailed one of the bookmarks below (will be random). Winners will be contacted via email on March 19th and will have 48 hours from said email to respond, or another winner will be chosen in their place. Bookmarks will be mailed within one week of winners providing their shipping information. Click the Rafflecopter Giveaway link above these rules to enter. Prizes are photographed below (click image to enlarge). What is your preferred method of saving your place in a book? Have you ever made your own bookmark? Best of luck to everyone who enters!